Dr. Taylor-Hughes chose a career in Chiropractic after experiencing the benefits of Chiropractic care as a university student. Although interested in health care generally, she was impressed by the conservative, safe and natural, ability of Chiropractic to manage neuromusculoskeletal conditions without invasive drugs and surgery. Dr. Taylor-Hughes completed a degree in biology and graduated from the Canadian Memorial Chiropractic College with a doctor of Chiropractic degree in 1990. She practiced in Toronto, had two children, then moved to Richmond where she began her current family practice in 1994. Dr. Taylor-Hughes uses a full spine diversified adjusting technique and activator technique. She provides pain relief to wellness care to patients of all ages. Dr. Taylor-Hughes served on the Inquiry Committee for the College of Chiropractors of BC from 2003 until 2019. 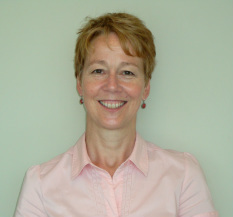 Dr. Lesley Taylor-Hughes is a registrant of the College of Chiropractors of BC and the BC Chiropractic Association.